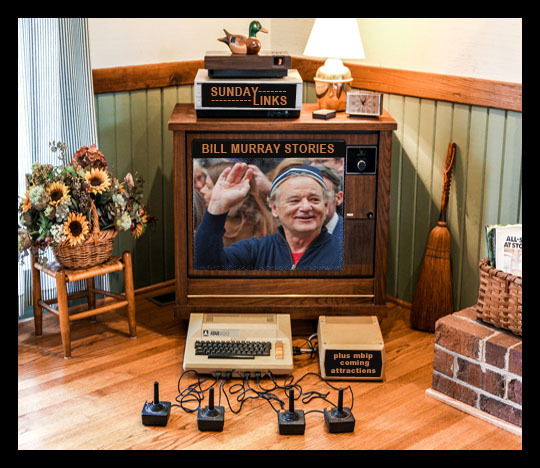 Sunday Links: Bill Murray Stories - Plus: The MBIP Coming Attractions! Bill Murray is known as a brilliant actor, both comedic and dramatic, but he’s also an urban legend. This involves the multitude of stories out there where Bill Murray supposedly walks up to or behind a total stranger, does something wacky and then supposedly says the following words, “No one will ever believe you.” Murray himself has never denied or confirmed this as you can read here. Of course the internet is filled with these stories and a documentary has even recently been made about this whole Murray myth and the stories that grow from them. Below are six Bill Murray story links and below that are the ever-popular MBIP Coming Attractions! Read it and no one will ever believe you! Bill Murray Stories - This is a long-running website, that started in 2010 where people can submit their own Bill Murray stories and photos. Gravitas Buys Bill Murray Documentary ‘Life Lessons Learned From a Mythical Man’ - This is about the documentary about Bill Murray stories and it’s got a great trailer about the film. I can’t wait to see this movie! 'The Bill Murray Stories: Life Lessons Learned From a Mythical Man': Film Review | SXSW 2018 - A review of the documentary. 10 amazing real-life Bill Murray stories that prove the man’s a total legend - Number four is the best! 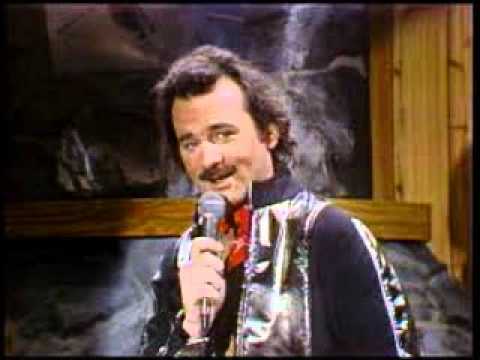 The Greatest (Real) Bill Murray Stories Ever Told - The Garfield story is hilarious! Bill Murray turns 65 today. Here are the 12 greatest stories about the Hollywood urban legend - This repeats some of the stories from the above collection, but I’ve never read about the ice cream story, which comes with a photo to prove it’s real. Bill Murray Gives Wes Anderson An ‘Automatic Yes’ When He Calls His 1-800 Number | Sunday TODAY - A fun interview with a relaxed Bill Murray and he talks about how he accepted the Garfield role because he thought the writer of the movie, Joel Cohen, was Joel Coen! Too funny! Usually I don’t go to a place I’ve just done a post on for another post the next week, but I had to change all of that when I went to Jan’s Tap last Thursday for last week’s Thirsty-Third Friday post. 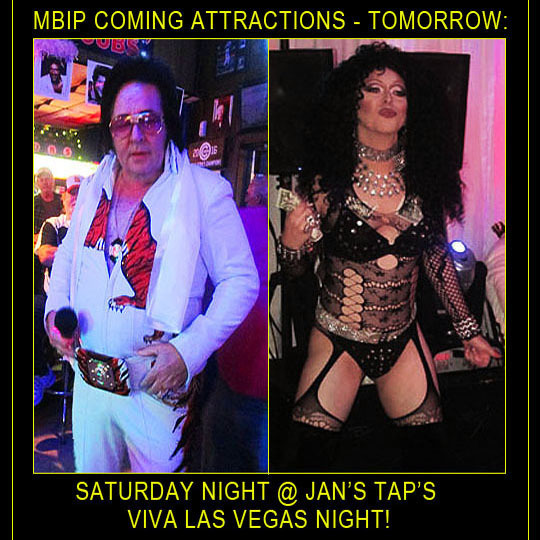 I found out that they were having a Viva Las Vegas party, with lights, Las Vegas decorations and entertainment from Dave Stovall, Peoria’s premiere Elvis impersonator and a whole troupe of Peoria’s Drag Queens putting on a dancing and lip synching show last night. It was a fun and entertaining night and I’ll have photos and the story from that evening up tomorrow! Tuesday we continue the 13 month chicken eating tour and I got a chicken dish that we haven’t tried yet on the tour, tune in to find out what that is! Time is running out at Wheels O’ Time Museum, they close for the season at the end of October, so I went out and took a tour and found some new additions out there, that will be Wednesday’s post. Thursday will be another Places in Peoria feature and I need to find some place to go photograph, I’m sure I’ll figure something out and you can see that later this week. Friday will be photos from the dress rehearsal for the Marty Monologues show that’s going to take place a week from tonight! We’re doing a dress rehearsal at Sarah Marie Dillard and Brandon Mooberry’s house and you can see a sneak peek at the Marty Monologues. Okay, I have to go rehearse my parts for the show and I still have one story to put together. Will I get it done by next Sunday? Well, get a ticket for the show and you can find out! Have a fantastical Sunday and we’ll see you all tomorrow! Related Posts: Sunday Links: Jimi Hendrix, Richard Pryor and Meatballs.